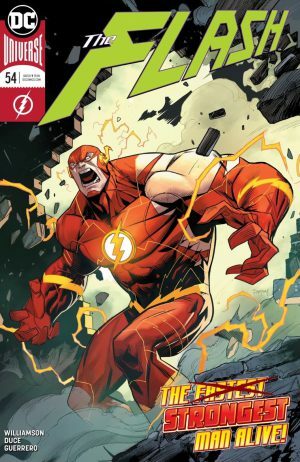 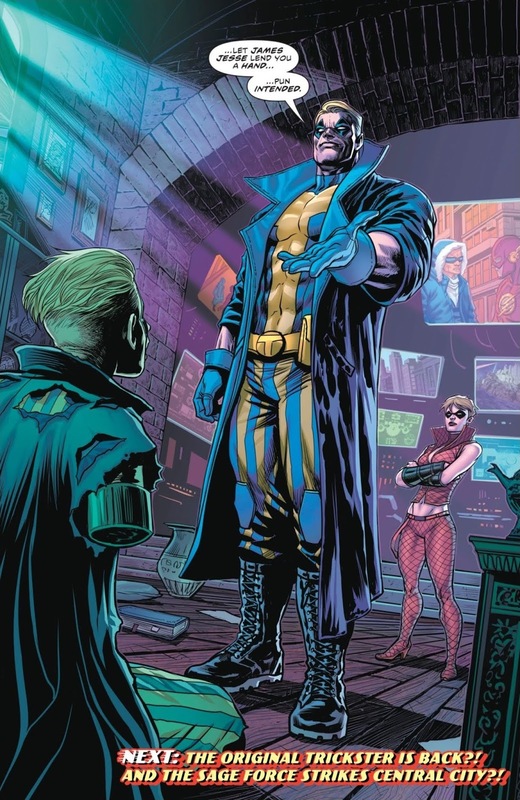 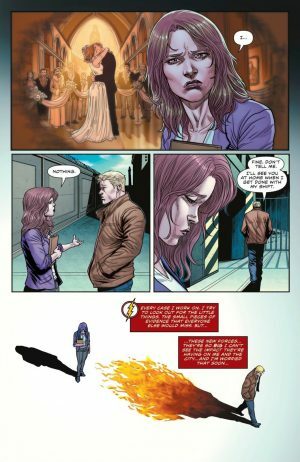 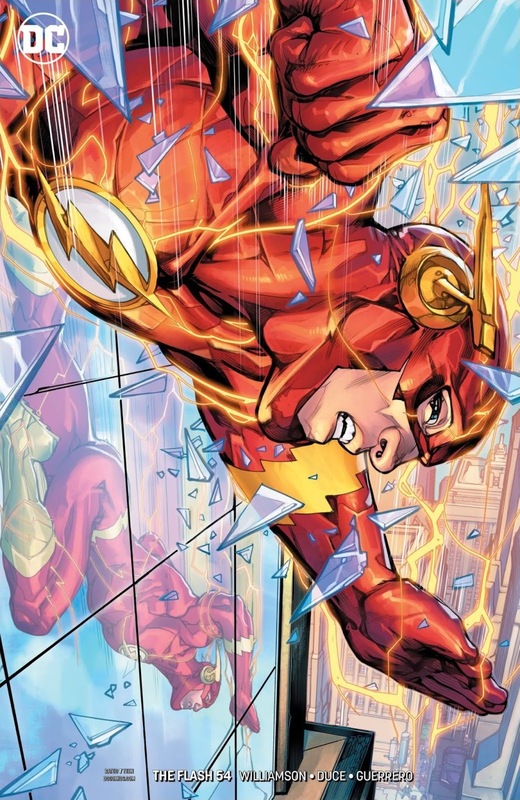 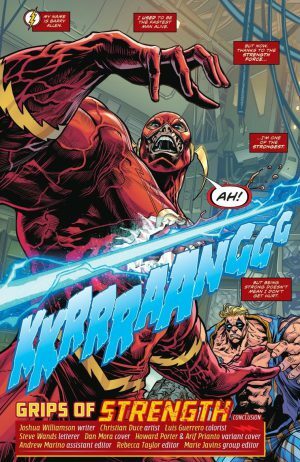 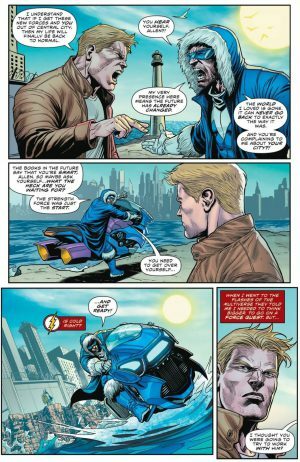 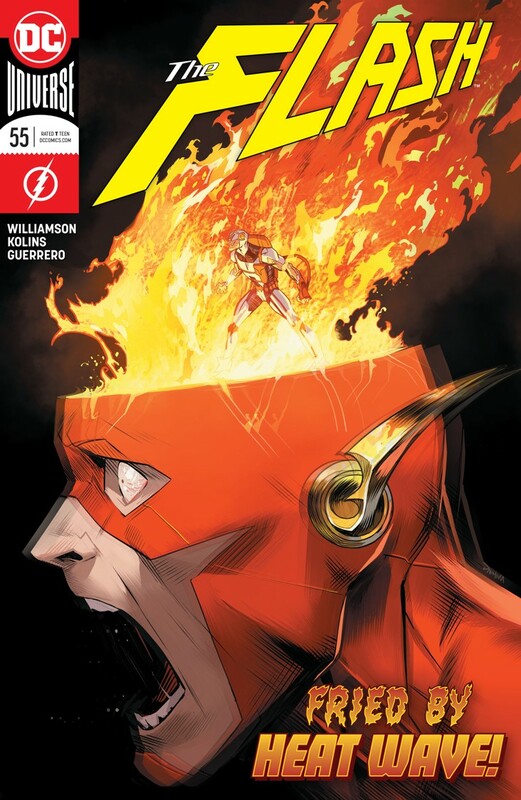 DC Comics Universe and The Flash #54 Spoilers follows. Strength Force Secrets Revealed, Sage Force Up Next and A Classic Rogue and TV Originated Sidekick Returns?! New Still Force Reserved For Justice League? 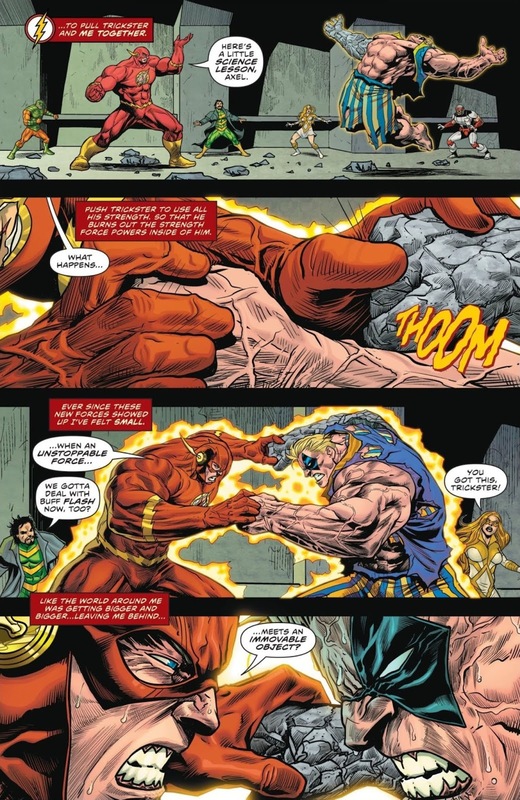 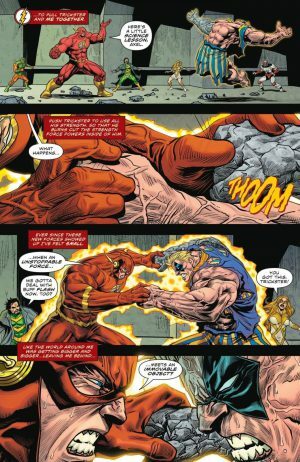 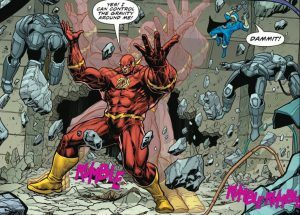 The Flash and the Trickster battle as the immovable object vs. the irresistible force. 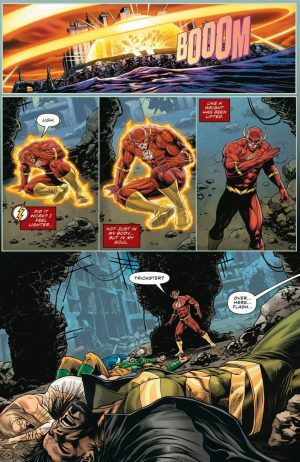 …the Trickster feels it fading from him too, but he wants to save the Rogues from dying in the rubble. 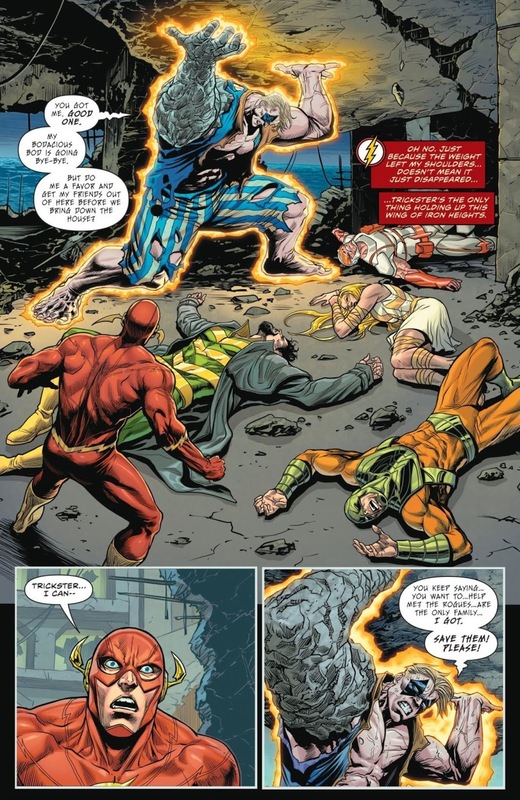 Flash saves the Rogues and it appears that the Trickster perishes nobly. 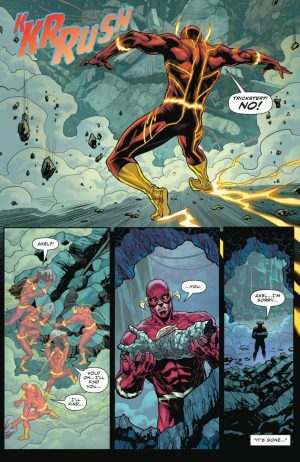 The book ends with misery for Barry Allen who thinks the world is against him. First, Commander Cold, trapped in the past from the future, blames the Flash and doesn’t approve of his methods. Next up is a conflicted Iris Allen who is cranky and sending mixed signals to Barry Allen. He knows something is up, but she won’t tell him. 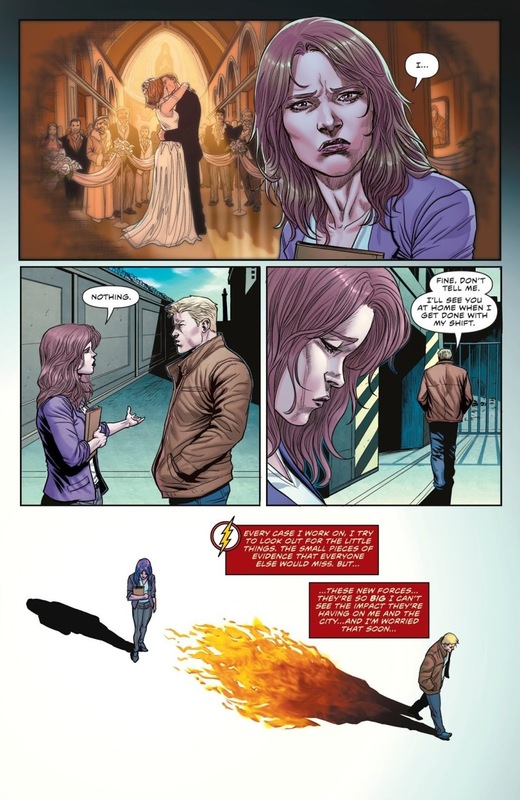 In truth, she remembers their marriage and life pre-Flashpoint and pre-Rebirth. 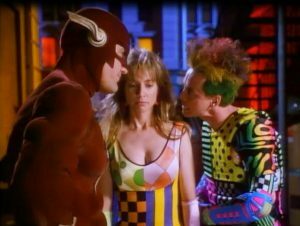 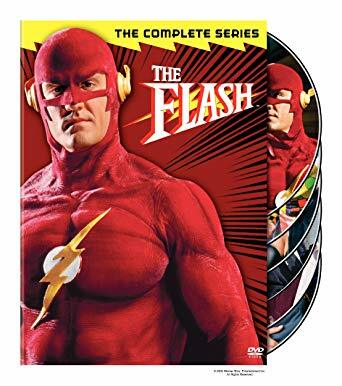 … who first got her start on the 1990 Flash TV series. 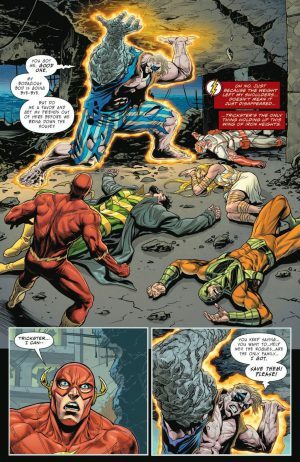 Next up is Flash #55; that’s where we’re told the Sage Force takes center stage. I assume that Force is about enhancing brain power, but we’ll see. The other new Force is the Still Force of the Turtle now harness by Gorilla Grodd in the pages of Justice League. 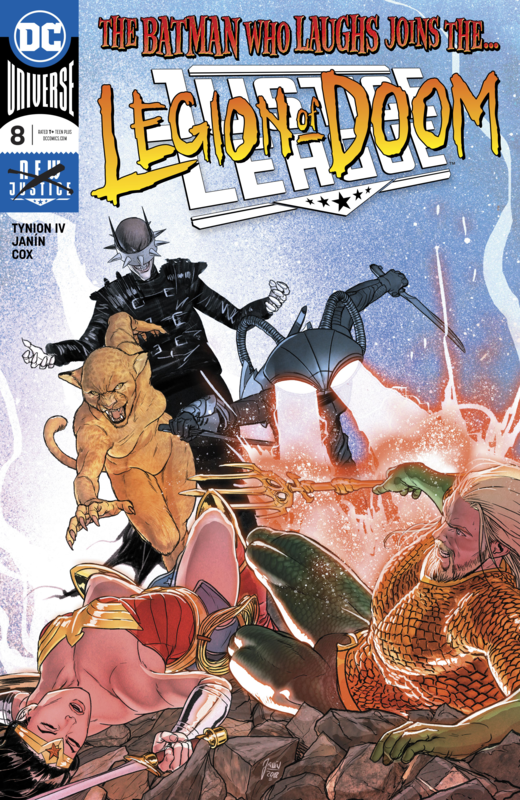 Justice League #8 is out next week.